These guns have a naval origine, type SKL/35. In the interbellum they were placed in the coastal batteries Sylt and Norderney. The railway mounting was of a new design and was welded. Krupp made 6 specimen. 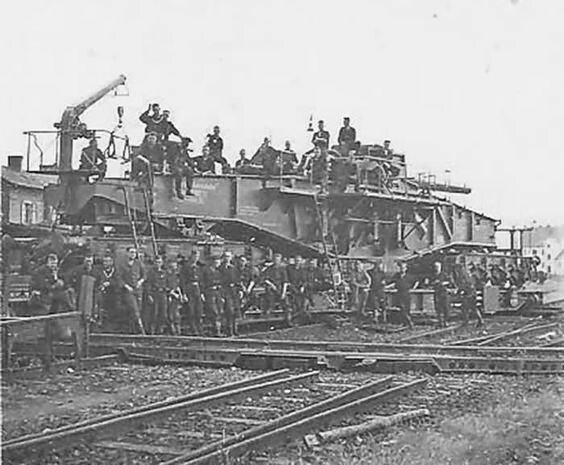 This photograph also shows the turntable that was udes to place the gun in the right direction.